From navigating the intricacies of GI Bill benefits to finding a support system, military-connected students traverse obstacles to achieve success in higher education. There are online resources through the U.S. Department of Veterans Affairs (VA) as well as through state offices, but all too often veterans and other military-connected students (active duty and reservists) find themselves struggling to succeed in higher education. For some, it’s financial, while others may be dealing with physical or psychological injuries. “Many student veterans do not fully understand their education benefits when returning to higher education and this can cause added stress to an already stressful transition for veterans who have been away from academics for many years,” says Christopher Campbell, treasurer of the National Association of Veterans’ Program Administrators (NAVPA), an organization that works to ensure that its member schools have staff properly trained in VA education benefits. The way in which GI Bill benefits are processed, which is that the money often arrives well after a semester has started, can be a huge stumbling block. The Minnesota State Colleges and Universities System (MNSCU) has the practice in which an individual waiting for his or her GI Bill benefits will not be dropped from classes or charged late fees. 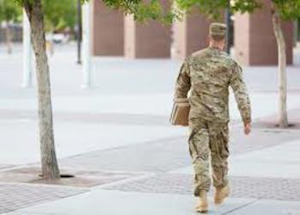 While this is obviously a best practice, some states do not have that policy; therefore, a military-connected student dependent on VA benefits must be fully aware of the situation and reach an understanding with the institution. A well-informed veterans’ resource center on campus is essential for veteran student success, say experts. NAVPA provides training for its member schools and members, most notably at an annual conference that brings them together with leaders from the VA and other organizations. It also can be beneficial for military-connected students to ask and learn about their financial options, say experts. Many veterans are entering higher education after a prolonged break from school. There are programs that can assist in preparing them. Campbell mentions the Wounded Warrior Project’s TRACK program and the Warrior-Scholar Project as two good programs with little cost to veterans. They focus on training veterans to understand the challenges they will face in the classroom and provide them the opportunity to become reacquainted with education. Bellefeuille says that his office often refers people to Veterans Upward Bound, a federal program run by the U.S. Department of Education that helps veterans prepare to be college students. His office also helps veterans acquire their service transcripts from the military and tells them what to expect in terms of applications, assessment exams and adviser meetings. The Minnesota Department of Veterans Affairs mobilizes groups consisting of people from their office along with partner agencies to meet military personnel returning from deployment. They even planned a trip to Kuwait to meet with Minnesota National Guard soldiers who would soon be returning to the United States. It is possible for veterans to get some college credits for their military occupations, too, such as mechanics, military police and medics. David Vacchi, associate director of veteran student services at the University of North Carolina at Charlotte (UNCC), says that is often not to the student’s benefit, though. “What you should be doing is earning the degree that institution awards, not getting a degree that you really haven’t done any work toward,” says Vacchi, who is also chair of the Veterans Knowledge Community of NASPA – Student Affairs Administrators in Higher Education. Where he does think military experience could count for college credits is in international or global studies requirements. An enlisted record brief will show the duty stations at which a soldier served. Someone who has been stationed overseas, particularly for multiple tours, has had extensive exposure to international cultures. Dr. Andrew Morse, director for policy research and advocacy at NASPA, says an issue that has emerged in research is veterans needing a sense of belonging. Morse also emphasizes the importance for practitioners in veteran student services being understanding about the diversity of military-connected students and developing a more inclusive campus environment. Vacchi says veterans come to college with a certain level of intensity, mission focus, discipline and structure from military life that either doesn’t exist on campus or exists in a disparate form. They must navigate a stark cultural difference, which is often intensified due to the age gap with traditional students. Having a veterans’ lounge is unquestionably a best practice, but sometimes it takes years to have one approved and opened. He suggests that having more retired officers working in higher education would help develop impactful programming. Vacchi, a retired Army officer, is finding that, when a veteran feels validated, it facilitates a successful college experience. Vacchi says partnerships between universities and local VA facilities are very important and can help colleges and universities provide more effective support structures for veterans. The entire University of North Carolina system is currently reassessing support services for military-connected students so as to better serve them, he notes. One fact Vacchi tells all veteran students he meets is that they’re eligible for five years of free medical care from the VA. Some initially balk at the prospect, but he impresses upon them that quality care is available for them, which can prove lifesaving for some veterans. To the extent that it is feasible, Vacchi also recommends having counseling or psychological services staff on campus specifically designated for working with veterans. Bellefeuille’s staff does not include psychologists, but they refer veterans to partner agencies, such as the Lutheran Social Services. Vacchi suggests colleges and universities develop a transition course that meets a general education requirement. One will be introduced at UNCC in January. “Veterans are going to go through a full three-credit course where they’re going to do all kinds of stuff [including] thinking about the culture they came from and the culture that they’re moving into in higher education and the civilian world,” Vacchi says. “Working on résumé translation skills, working on life skills, but also focusing on a gen-ed piece, which is oral.